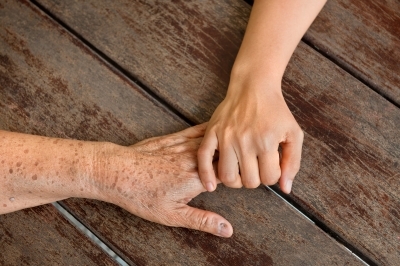 Should Your Elderly Parent Age in Place? As you watch your parents or loved ones age, it can often be a struggle to determine the best option for their long term housing. Should they age in place in their home? Should you make space in your home for them? Should they move to a long-term care facility? Or should they move to a home that more adequately suits their changing needs? • Are they able to get around by him or herself? Are there stairs in the home? • Is this person able to take medications without assistance? Is there a health concern that would require more regular supervision, such as Alzheimer’s or Parkinson’s? • Is your parent able to manage mortgage payments, home-owners insurance payments, and property taxes. Is the home outdated and in need of frequent repairs – such as a furnace, roofing, electricity? • Where is this home located? Is it in close proximity to relatives, hospitals, etc? Or is it secluded and away from town? • Is this person lonely? Has he or she suffered the loss of a spouse? Does he or she have a solid social group or close friends? Based on your answers to these questions, aging in place may be an option. If financial strains exist surrounding the current mortgage, a reverse mortgage may be an option. Reverse mortgages allow homeowners age 62 and older to access equity in their home without concerns about income and credit. The homeowner retains the title and remains in the home. With a reverse mortgage homeowners can lessen the financial burden of mortgage repayment and can even receive their funds through a lump sum allowing for any necessary home repairs or improvements to be covered financially. All reverse mortgages are government guaranteed with an FHA backed loan and no repayment is due until the last borrower passes away or permanently leaves the home. At that time there are several options that include keeping the home in the family. If selling the current residence and moving into a new home is a more reasonable route, reverse mortgage may still be an option. Often times adult children encourage their elderly loved one to move in with them, not taking into account that this person will be leaving everything that is familiar, including their home, neighborhood, friends and social circles. Before making this decision, consider whether the move will be a strain on the family of which this person will be joining or the person who will be making the move. Depression can be cause for concern with the elderly and interrupting a solid routine or social interaction and hobbies can often make this concern a reality. If this person has medical concerns, considering live-in care or a long term care facility may be the best option. There are many outlets to help guide you in the best direction when making a decision on the proper route or facility.